But while the Project-FI app was giving me that error, the data from Project-FI was flowing. So I had a data connection! So I just let it be for the day, and moved on to other tasks. I did not make any changes to the phone’s networking settings or options this day or any other day since then. The next morning I picked it up and tried the Project-FI app again, without changing anything, and voila, it worked! 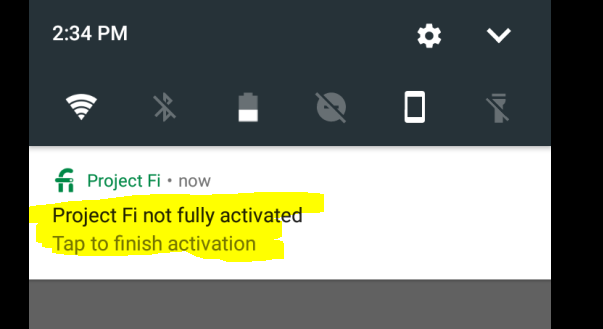 The activation was successful and the Project-FI app was as happy as it can be. And it has worked, without any issue, ever since! The successful activation message probably needs to work on its language. What it’s trying to say is that you don’t have voice-features (voice calls, voicemail, texting), only cellular data! The data has been flowing nicely, and I’m getting speeds (using Netflix’s Fast app; the opposite of the bloated and data-hungry Speedtest app) that are equal or better than what I was getting before with the good old Nexus 6. 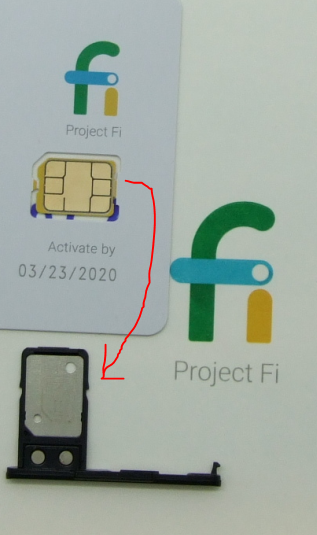 With the Data SIM alive and kicking, the Project-FI app and website and now when you look at your data usage, it is broken down by the main phone and the Data SIM. I will get more Data SIMs in the future, so it will be interesting to see whether you get the data breakdown by individual Data SIM or all grouped together. UPDATE: Success! After a minor kerfuffle it is all set up! 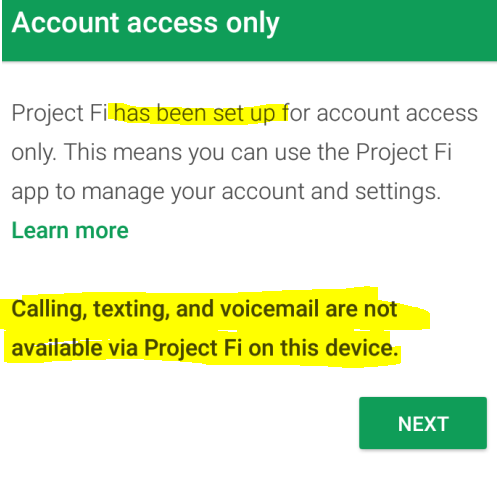 I can now make and receive phone calls and text-messages using Google Hangouts on the Sony Xperia L2 using the Project-FI Data SIM!